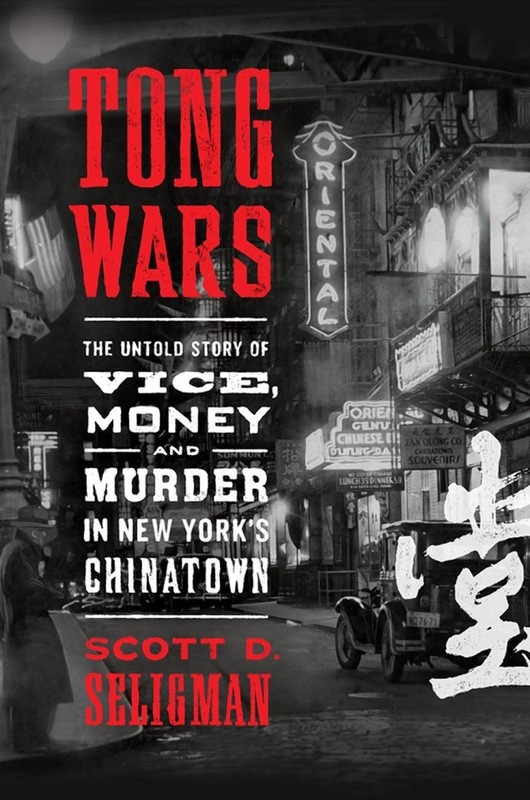 My review of Scott D. Seligman's Tong Wars: The Untold Story of Vice, Money and Murder in New York's Chinatown appeared in the Washington Times. 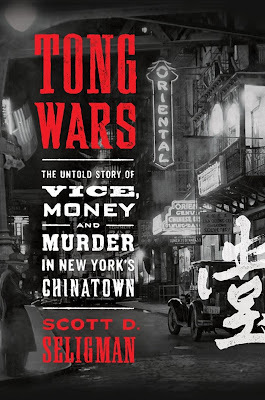 Historian Scott D. Seligman offers an interesting and true tale about the Chinese gang wars in New York City from the 1890s through the 1930s. The 30-year-long gang wars resulted in many brutal murders, injustice, tragedy and rampant crime and corruption. The tong wars also made lurid headlines in the newspapers of the day. How the tong wars began, how they were waged, and how they finally ended is what Mr. Seligman’s book is all about. “This is the story of four bloody wars and countless skirmishes fought intermittently over more than three decades inNew York’s Chinatown and the Chinese quarters of several other cities in America’s East and Midwest, with their attendant casualties, peace parleys, and treaties,” Mr. Seligman writes. Mr. Seligman states that this is also the story of a veritable army of precinct captains, detectives, and uniformed officers bound and determined to stop the tong wars. “Or at least to line their pockets,” he adds.